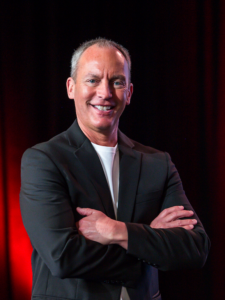 Steve Gutzler has delivered thousands of presentations on leadership, emotional intelligence, and personal transformation. He has an exceptional ability to communicate clear leadership and business solutions with humor, clarity, and insight. Steve inspires greatness in individuals and organizations through his customized programs— Steve believes every presentations should transform a life and inspire leadership. This week, we are excited to share Steve’s new speaking reel and new website! For booking information on Steve Gutzler, contact Michelle Joyce or visit www.MichelleJoyceSpeakers.com. Tune in every Friday for additional featured speakers!